This post contains some affiliate links for your convenience. Please click here to read my full disclosure policy. Hi, everyone! Welcome to our May 2018 Income Report – I can’t believe we’re actually writing our FIRST monthly income report. I didn’t expect to make any sort of income so soon. It was such a great feeling knowingour hard work has finally paid off. We’ve been blogging for quite some time now but did not start utilizing ads to our site until late May. We also decided to start setting goals for ourselves so we can keep track throughout this blogging adventure. It can be VERY overwhelming to see everyone’s income report on Pinterest! You see a lot of pins and posts on how they’ve made a certain amount of money per month, and it really inspired me to keep this going. Hopefully, I can inspire you to not give up on your goals. By no means, we are trying to brag and show off our successes…if anything we are trying to display our failures! Because I believe you learn better from other’s mistakes. I figured it would be a great way to keep myself honest, having all my “successes and failures” being open to the public. It’s not easy to make money from blogging but hopefully, you can see what we did wrong and avoid that lol. I think of an income report as a Development Diary for yourself and your blog. It’s amazing to see the progression from month to month. There will be times where a goal won’t be met, but that’s ok because we can focus on our weaknesses better when visibility and accountability are involved. I started making an effort in getting ads going for my site. I was having an issue with getting Adsense to be approved due to already having an account. It took a few weeks for that to be resolved and get my ads active. During that few weeks, I signed up for Media.net. What an incredible feeling! That 23 cents might be nothing to a lot of people but it means a lot to me. It shows that this process does work! I know that my income report doesn’t have all the glam and glitters that you often see on Pinterest. But I think it’s good to show something more realistic for people to see. We get caught up in seeing how people are so successful at making money blogging, but we tend to forget the true struggle and joy of making your very first income from blogging. 55 Followers on Pinterest. I’ve had an account for over a year but never really focus on gaining followers. I started focusing on it on May 30th and was able to get 55 new followers to end the month. Wrote one new post! This might sound like nothing but I only counted the last 2 days! Signed up for Media.net ad network. 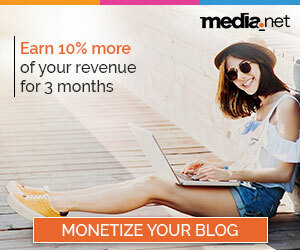 This is a great starter ad program to get your blog page some potential income. Started trial for Tailwind. I’ve heard great things about this and how it can help me save time. Still playing around with it and getting comfortable with the schedule feature. Overall, my accomplishments and earnings for May might seem like a small milestone. But it’s a milestone I’m very proud of and am looking forward to seeing how much more I can grow from this. I have been on and off with my blog for the last year or so, so my biggest goal is to have more consistency with my blog. This is my biggest goal and will keep it my goal for all my upcoming income reports. I’ll also be traveling in June so I’m going to set some realistic goals for myself. We also have a side goal of being accepted into at least 10-15 Pinterest Boards. I think these boards are very important and will be a huge factor in driving traffic to our blog. Even though we’ve been blogging for quite some time now, I really feel this is like our first official month being a blogger. We expect many more challenges in the coming months but will also make sure to celebrate our small wins. I am very proud of the small wins we’ve achieved in such a small period of time for the month of May. I hope this provides an inspiration for you and to start making a difference in your life. I’m very looking forward to writing June’s income report! Make sure to come back to see how we’re doing! Airbnb – If you love traveling and not spending a lot…check this link out! If you are also interested in hosting for extra income…Sign up! Check out Hotels.com for CHEAP deals! This is very inspiring! I wish you all the best in the future. Thank you. What a great post! You see most of the time we see very large amounts on income reports and this was the first real and raw post I have seen. I say celebrate any amount whether it is large or small. Give yourself a few months and you will look back at this and see how far you have come. Congrats! This is very exciting and inspiring! I am a new blogger and it can be very overwhelming to see everyone else’s successes, but it’s also helpful to know that we all have to start somewhere. You’ve given me the courage to keep going! Thanks!